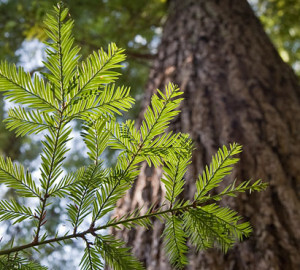 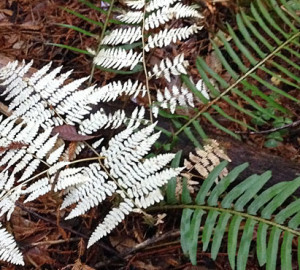 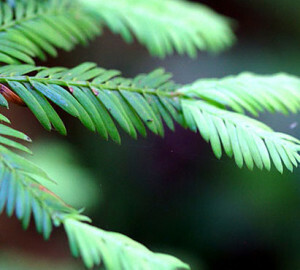 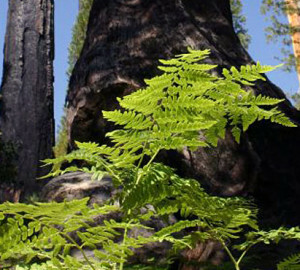 Both as shrubs and mid-sized trees, tanoaks are an important element in Central California’s coast redwood forests. 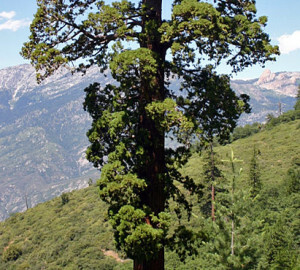 They add structural diversity and, through their acorns, abundant food for wildlife. 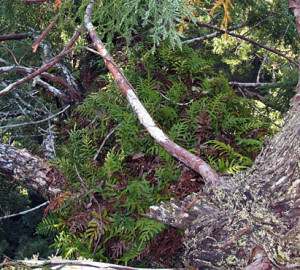 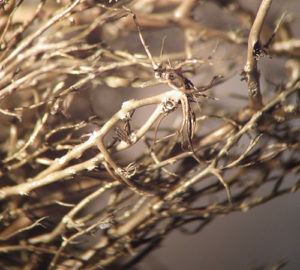 Afflicted by the disease “sudden oak death” (SOD), they may soon be adding fuel to coastal fires. 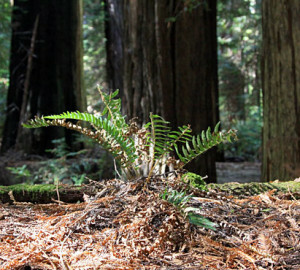 Funded by a grant from Save the Redwood League, a team from the University of California, Berkeley, measured how much SOD was increasing fuel loads (flammable material) in coast redwood forests. 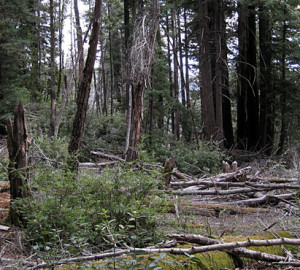 They used computer modeling to predict how those fuel load increases might affect fires in these forests. 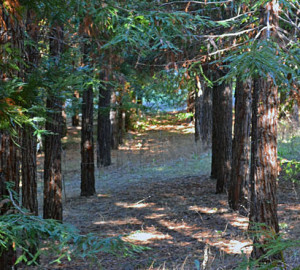 The team focused its work on redwood stands in the Marin Municipal Water District, which was logged in the late 19th and early 20th centuries. 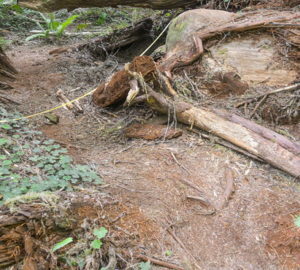 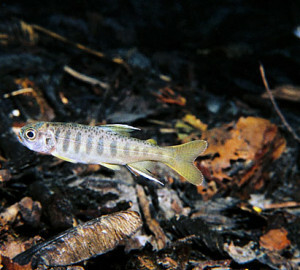 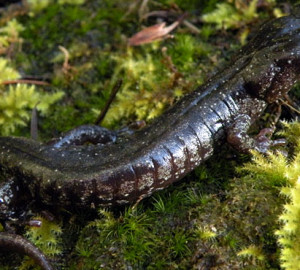 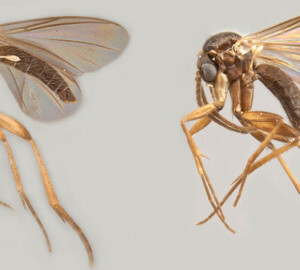 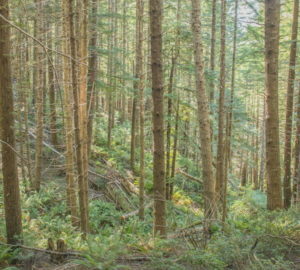 In some parts of the district, researchers discovered almost as much downed wood from SOD as would be found in the slash (debris) of a recently logged forest. 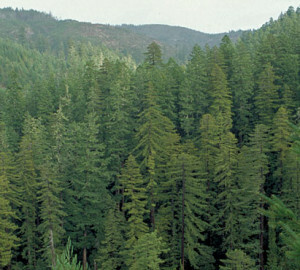 Using computer models, they estimated that fire intensities would be three to four times higher in diseased parts of the forest. 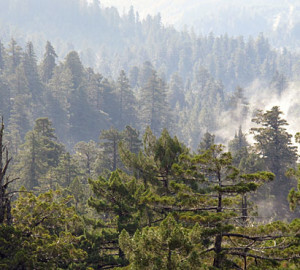 These intense fires would likely be small, covering only a few hundred feet. 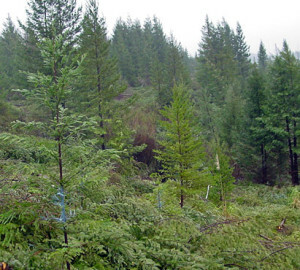 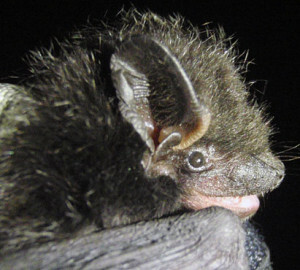 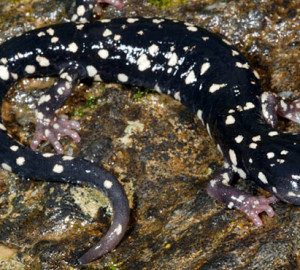 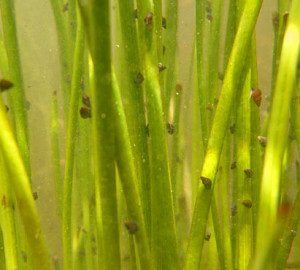 Yet there might be negative effects: decreased diversity of mycorrhizal communities, in which fungi and plant roots benefit each other; changes to the soil or soil erosion; and stresses on rare wildlife such as the spotted owl. 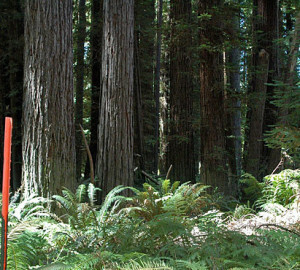 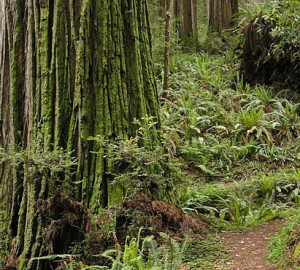 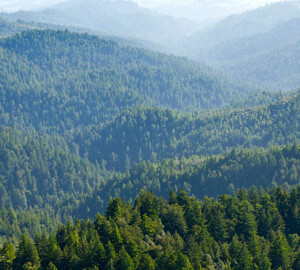 The redwoods themselves would likely prosper. 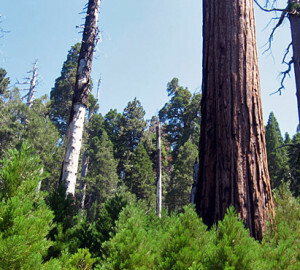 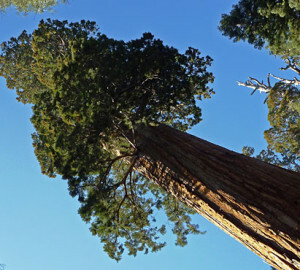 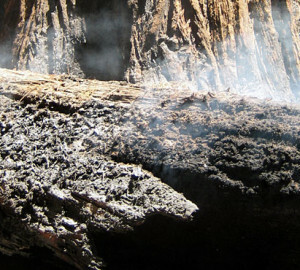 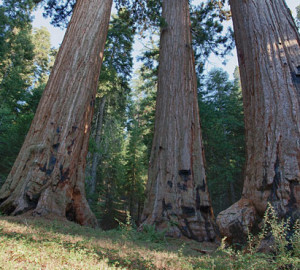 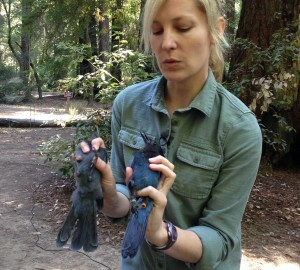 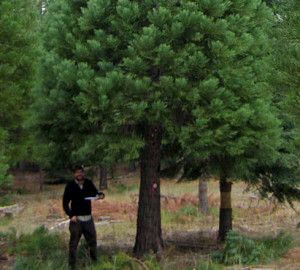 They are extremely fire resistant, and, as tanoaks decrease, redwoods will have less competition for space and light.